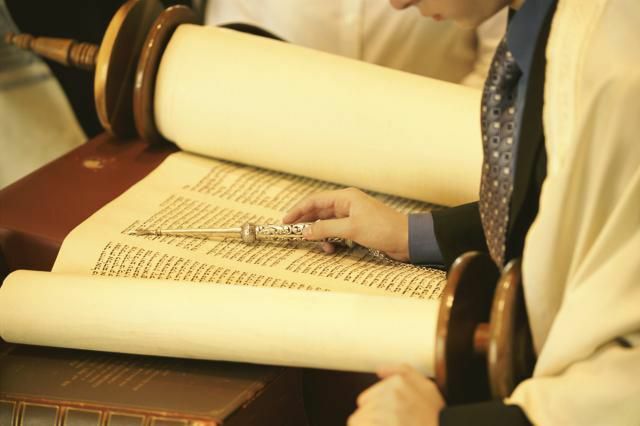 Why Jews Substitute "God" With "G-d"
The custom of substituting the word "God" with G-d in English is based on the traditional practice in Jewish law of giving God's Hebrew name a high degree of respect and reverence. Furthermore, when written or printed, it is forbidden to destroy or erase the name of God (and many of the stand-in names used to refer to God). There is no prohibition in Jewish law against writing out or erasing the word "God," which is English. However, many Jews have afforded the word "God" with the same level of respect as the Hebrew equivalents detailed below. Because of this, many Jews substitute "God" with "G-d" so that they can erase or dispose of the writing without showing disrespect to God. This is relevant especially in the digital age where, although writing God on the internet or computer is not considered a violation of any Jewish law, when one prints a document out and happens to throw it in the garbage, it would be a violation of the law. This is one reason most Torah-observant Jews will write G-D even when they aren't intending to print a document out because there is no way of knowing whether someone might eventually print the word out and deface or throw away the document. Over the centuries the Hebrew name for God has accumulated many layers of tradition in Judaism. The Hebrew name for God, YHWH (in Hebrew spelled yud-hay-vav-hay or יהוה‎) and known as the Tetragrammaton, is never pronounced out loud in Judaism and is one of the ancient names of God. This name is also written as JHWH, which is where the word "JeHoVaH" in Christianity comes from. According to Maimonides, any book that contains these names written in Hebrew is treated with reverence, and the name cannot be destroyed, erased, or effaced, and any books or writings containing the name cannot be thrown away (Mishnah Torah, Sefer Madda, Yesodei ha-Torah 6:2). Instead, these books are stored in a genizah, which is a special storage space sometimes found in a synagogue or other Jewish facility until they can be given a proper burial in a Jewish cemetery. This law applies to all seven of the ancient names of God. Among many traditional Jews even the word "Adonai," meaning "My Lord" or "My God," is not spoken outside of prayer services. Because "Adonai" is so closely linked to the name of God, over time it has been accorded more and more reverence as well. Outside of prayer services, traditional Jews will replace "Adonai" with "HaShem" meaning "the Name" or some other way of referring to God without using "adonai." Furthermore, because YHWH and "Adonai" are not used casually, literally dozens of different ways to refer to God have developed in Judaism. Each name is linked to different conceptions of God's nature and aspects of the divine. For example, God can be referred to in Hebrew as "the Merciful One," "Master of the Universe," "the Creator," and "our King," among many other names. Alternatively, there have been some Jews also use G!d in the same way, utilizing the exclamation point to convey their enthusiasm for Judaism and God.